The North American Crossbow Federation's purpose is to advocate for the use of the crossbow for recreation and as a legal hunting tool for any licensed hunter during all seasons in which archery equipment is permitted. We are dedicated to promoting safe and ethical hunting, supporting sound game management practices, and cooperating with wildlife agencies and other officials to recruit, retain, and educate participants in all aspects of crossbow shooting and hunting. We support the unification of all hunting rights advocates in the fight to preserve our hunting heritage, and we seek to partner with like-minded organizations and manufacturers in the effort to grow hunting and recreational shooting as a beneficial form of outdoor recreation. 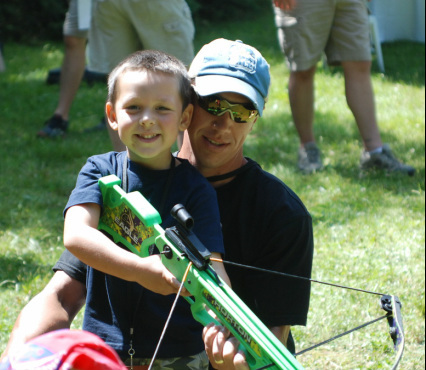 One of the main goals of the NACF is to collect, develop and distribute accurate information about the use of crossbows both for hunting and recreation. Much time and effort has been given to gather accurate data concerning all aspects of crossbow use. Much of this data deals with the use of crossbows as a hunter recruitment and retention tool as well as a game management tool for state game management agencies around the country. This information is gathered from various sources but is almost entirely empirical data from states that have implemented crossbow usage or have commissioned surveys of their stakeholders about crossbow usage. In addition much work has been and continues to be expended on developing proper educational tools for the safe and effective use of crossbows. Available on this site are some of those materials. More will be added and current materials will be updated regularly.